Yesterday (7/15) we spent the day bonding with our Czech hosts and growing in our knowledge of the Czech culture and outlook on life. We woke up early, jumped on the train, and traveled back to Prague. As beautiful as the city was, I must admit I cannot wait for the camp and the opportunity begin building relationships with more of the Czech youth. ...none of us have any idea how to read Slavic languages. Occasionally, there are a few words that we can figure out but, for the most part, almost everything I've learned about phonetics is inapplicable here. The castle in Prague. 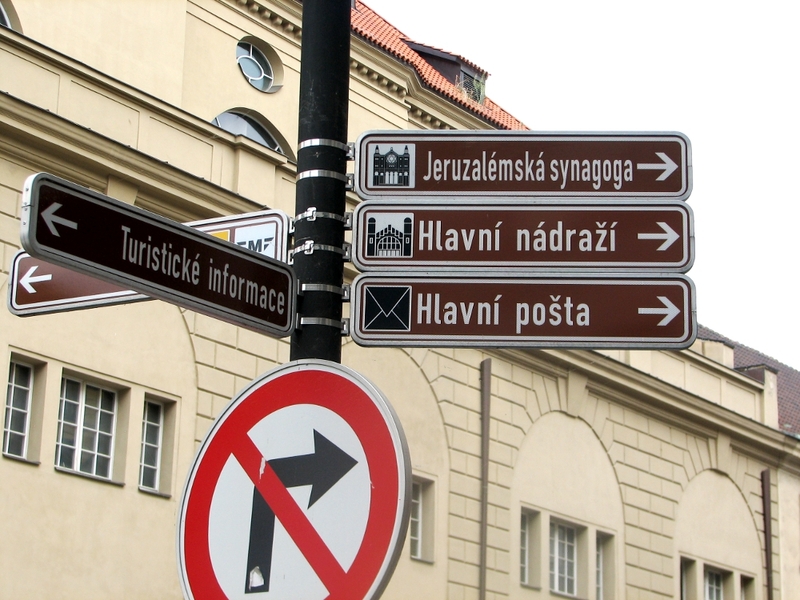 Tourism is huge in the city, which sometimes made it difficult to discern what was authentic and significant to the Czech people and what was popular because of its marketability. Again, our hosts were very helpful when it came to this and were always glad to answer our questions the best they could. I snapped a photo of what turned out to be "Christian graffiti." The man pictured is J.A. Komenský, a 17th century Czech religious icon and the words roughly translate to, "Czech people, come back to Christ." This is our prayer as we prepare to travel to the English camp. Please let it be your prayers, too.